I have started building a series of Edos and have accumulated a few pictures. I love to fly these things. I have dreams about them. 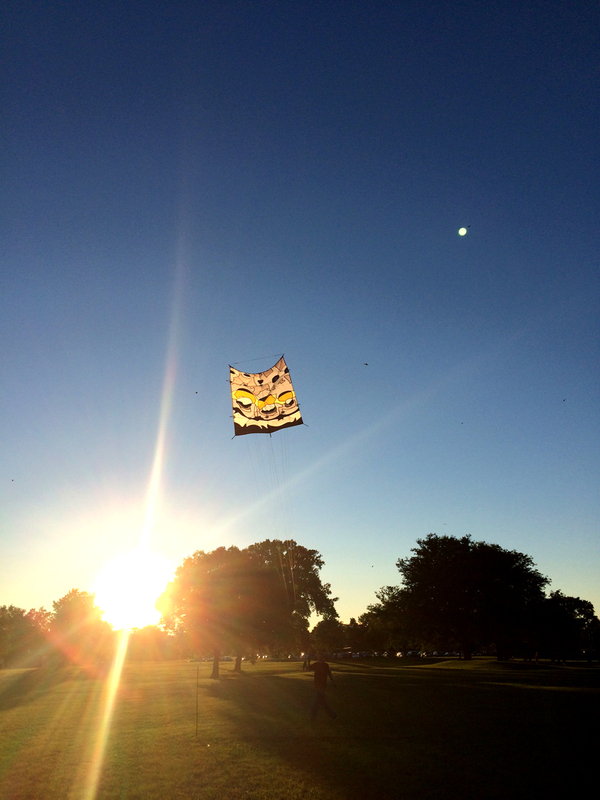 What is it about an Edo kite that draws it to you? I really like the third one. sorry Phil I do not see any correlation there. Nice work! I don't dream in Edo, but I do have dreams of building some kites queued up from UMake and other plans . . . . about 6 or 7 are in the queue at the moment. However, the wife says basement and garage must be cleaned before the kite building can commence . . . . Thanks for looking! Just the other night we got this other one up in the air after a thunderstorm. This kite is not a real Edo, but instead uses the easy-to-build and easy-to-fly Ohashi Variant construction. The design is based on a photograph of an Etheostoma darter, a colorful native fish. 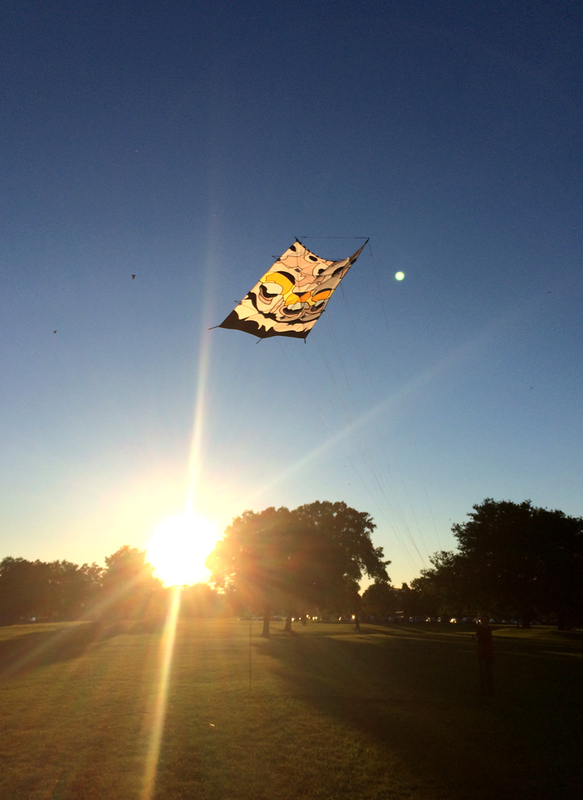 Your kites are to die for! So beautiful. Pls keep sharing your creations. j.
I might write a supplement to this plan with photographs to explain details I used (fittings, knots, etc.) to finish it. We got some really nice and steady wind tonight and here are a few new shots. Do they fly (and tune) much like a rokkaku? Seems to be considerable bow shown in the upper spars of your latter shots. An edo typically has a LOT of bow. Fully bowed, they're very nearly semi-circular. Thanks very much. The main feature of these kites is the long bridle with numerous bridle lines. You can tune it by adjusting the lengths of the top row of lines relative to the others. This kite is bowed, but it is exaggerated in these pictures. I was several hours in Illustrator trying to get that one right. It still needs some more work.